Im a Fan of Philippines best food... Are you? Fill in the below form and you can recommend ‘Philippines best food’ to a friend or family member via a text message. Show your support with a quick share of ‘Philippines best food’. The food is delicious and the staff is very friendly !! Great food and a wonderful staff !!! In an area with little cultural differences, Philiplenes best food is a shining light. Danny and Ellen pour their hearts into providing authentic delicious Filipino food. The dishes are hearty and the value is tremendous. Since they first started, Daniel and Ellen have gone out of their way to make people feel welcomed there. They take the time to get to know people and make sure you’re happy with your meal. They’ll tailor a meal to suit and even suggest something different if you’re tired of the same old thing. Every week, more and more people are discovering how good their food is! Philippines Best is a great restaurant. The staff are always so nice when you go in and the food is great. You really get your money’s worth when visiting whether it is take out or dine-in. Love their Lumpia!!!! The food is awesome, my taste buds dance Everytime I eat there noodles and pork, with there beef eggrolls. The sweet and spicy sauce is great. And the buffet is tantalizing. I am a fan because it may be biased a lil bit i ate filipino food when i was younger made by filipino college students at marietta bible college. Including ellen lol. I absolutely have loved pansit and lumpia for years! It is awesome that they have a restaurant for it now! I’ve been eating at their establishment since they first opened as a carry-out only. Their food is always fantastic, the owners are amazing people, and I’ve persuaded as many people as I could to try their establishment. I was beyond thrilled when they opened their dine-in area and when I need an escape from work this place is the first place I think of. Their food is authentic and simply delicious! Very good food and friendly workers. Best food in Parkersburg, seriously love it! Always fresh, always delicious, and the staff are so friendly! Fantastic food, really friendly owner, staff is wonderful! This place is great!! I was skeptical to try it at first because I have never eaten Philippines food before but I am so glad I did. It’s very yummy! I have a Aunt from the Philippines and I love the food she made for us and this place tastes the same.This place has authentic Philippine food and it’s absolutely delicious. Fabulous food… friendly service… Good family. I love to eat there!!!! They have great food and great people working there. They have great food and a wonderful friendly atmosphere. Best food in the tri-city area! The owners are extremely nice and good to their regular clients as well. Philippine best Food offer fresh healthy food. And Staff r very friendly. I feel at home whenever i go to Philippines best food. Foooood sooo gooood you’ll keep coming back for more. Very friendly people ???? Awesome food. The sweet and sour chicken is the best! Truly a hidden gem in parkersburg, wv. I have been here in the US for five years now, but i feel at home whenever i go and eat at Philippines best food resto.. i love the owner too..they treat me as part of their family… the best!!! ?????????? ?? Love the chicken curry and egg rolls. Always have great specials and customer service. I love Ellen! She makes visiting PB’s so much fun! Food is great. Always fresh. Amazing culture, and great food! Foods are pretty good, feels like home. The food is phenomenal!!!! 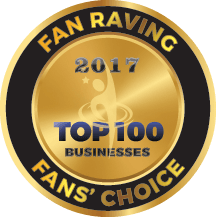 The owners and employees are all so helpful and friendly and recognize regular customers. The service, cleanliness and food quality are some of the best in the area! Great food and the cleanliness of the establishment. I love the fact that the owner has introduced authentic and delicious Philippine food to our area. The food is always so fresh and delicious! The food is DELICIOUS!! Serve is awesome! Keep up the great work!!! Great food. Had never had Philippines food, wasn’t sure about it. So glad I tried it. Wonderful flavor, very friendly staff. Wish they would open a location near me. The food is amazing every time. They are fast and friendly and clean. It’s a wonderful place to eat. The food is amazing and the owners and empylees are souped nice the make you feel like family!! the food are deliciously great…. the people are very friendly have access to the Filipino Channel and they have karaoke, which make it more fun to come and dine! Philippines best food is the best. The place is neat and clean. You can choose varieties of delicious menus. The working crew possessed good personality traits. Longanisa/ chorizo sweet style, my favorite . yummy, happy tummy! Try now and be a fan! They have great foods,all my favorites. Reminds me of home! Authentic filipino food. Great food, great service , very friendly atmosphere. I am a chef, so feel that I am a decent judge of quality. Their food is delicious ! Everything I have tried is fantastic. Staff is very friendly and good. Freshly made and never frozen. Excellent yummy food every time! My son went to the Philippines and raved about the food, so I thought I’d try it. I love the chicken teriyaki and veg. egg rolls. The place is clean and we get great service! thanks! The food is amazing and such a great atmosphere! I stopped by there establishment one day with my wife and a friend and the food was great and the service too. Great experience would go there again when I pass through Parkersburg. Delicious food. Great, friendly service. Owner wants to make sure you enjoy your meal, and are pleased with the value for quality. Fresh, hot eats and fantastic service. One of our favorites for sure. They serve a good, clean and delicious food with different variety of choices from Asian, American, and Mexican cuisine. The food is amazing and the owners and employees are souped nice the make you feel like family!! I have been here in the US for five years now, but i feel at home whenever i go and eat at Philippines best food resto.. i love the owner too..they treat me as part of their family… the best!!! 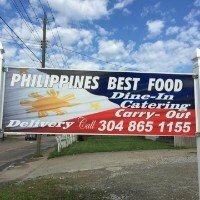 Philippines Best is one of our favorite restaurants in Parkersburg. The food is so delicious! Our personal favorites are the pork adobo and the sweet and sour chicken, but everything we’ve tried, we love! We try to make it once a week. The restaurant staff is simply the nicest group of people we’ve ever met! We would definitely recommend Philippines Best to anyone!! Most of the food they serve are really the comfort food especially when a Filipino misses the cuisine back home. When you eat there, it really makes you feel home!